The Chinese Materia Medica, a pharmacological reference book used by Traditional Chinese Medicine (TCM) practitioners, describes thousands of medicinal substances, which have been successfully used for thousands of years. Especially helpful for long standing chronic conditions (fatigue, anxiety, stress, digestive problems, insomnia, asthma, weight, arthritis and fibromyalgia) these substances can also be surprisingly effective for acute conditions such as acute pain, colds and sinus infections. Our clients report they get the best results by combining Acupuncture treatments with custom Chinese herbal formulas. Possible side effects are minor digestive problems, which usually resolve by reducing the dosage, taking the herbs with food, or modifying the formula. Many of our clients take prescription medications and herbs; they just separate them by one hour. We are not giving Chinese herbs to women who are pregnant or nursing or anybody who is taking Coumadin or has many allergies. Chinese herbal medicine is a major emphasis of the clinical education during the four year training to obtain a Master’s in Acupuncture and Oriental Medicine (MAcOM). Bulk herbs: These are dried single Chinese herbal ingredients, which the client must cook with specific instructions. This is labor intensive and the scent and taste of the resulting tea may not be very pleasing. However, this is the most traditional way of dispensing Chinese herbs. Pills and patent medicine: Standardized teapills, which resemble black pearls, or capsules. These are typically traditional formulations, which work for specific Chinese medical diagnosis, or for certain symptoms; clients cannot customize these. Granule herbs: Herbal extracts are the “essence” of bulk herbs. Through a long and sophisticated process the active components in bulk herbs are condensed into herbal extracts, following pharmaceutical-grade GMP procedures. In our clinics, we are using this powder form of herbs from Evergreen Herbs, a very highly reputable and high quality herb company. Their herbs grow with eco-sensitive farming practices, focusing on biodiversity, sustainability, purity and safety. They can easily be combined with each other, creating a customized Chinese Herbal formula and are simply taken with water. We currently stock over 300 Traditional Chinese Herbal Formulas and Single Herbs in our extensive Chinese Herbal Pharmacy. Our clients typically start by receiving Acupuncture care for a few weeks. During a client’s evaluation visit, we may suggest Chinese herbs. This is always their choice. Some come to us exclusively to receive herbs. Before clients receive an herbal formula we complete an herbal evaluation. During this visit we will conduct a medical intake and discuss the focus of their custom Chinese herbal formula. We also perform a Chinese medical pulse diagnosis, consisting of feeling the pulse on both wrists in three positions and three levels, feeling for pulse qualities, rather than counting the beats. This is one of the diagnostic tools TCM practitioners use, to detect imbalances in the body. We will then write a custom prescription, with the goal of achieving changes within the first two weeks. Depending upon the client’s progress at subsequent herbal evaluations, we will modify the herbal formula to attain desired results. This involves using four to seven different Classical Chinese Herbal Formulas or Single Chinese Herbs from our Pharmacy. These ingredients will be prescribed in different dosages, according to the client’s Chinese Medical Pulse, their progress and medical focus of their formula. 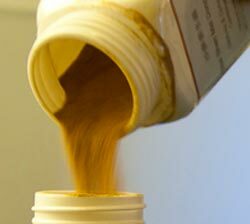 The resulting Custom Chinese Herbal Formula is designed for specific needs and is valid for only for the next few weeks; as the client’s condition improves, the formula will be adjusted. This form of practicing Chinese Herbal Medicine is the most customized and most effective way to attain lasting results. 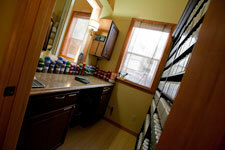 All of our clients have access to our Chinese Herbal Pharmacy, which is located in our Hood River office. 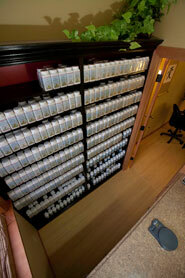 We will mix and deliver our Custom Formulas to both of our locations.